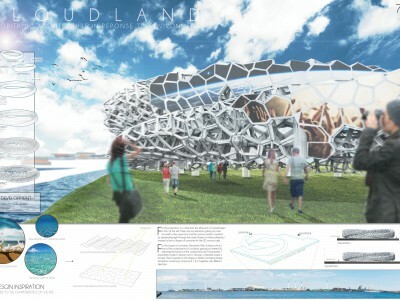 CLOUDLAND – ALGORITHMIC ARCHITECTURE IN REPONSE TO ENVIRONMENT | gURROO - A new generation of innovative minds. Saving the world? Is that sounds childish or naive? I don’t think so, when the world is pushing closer to the edge of destruction by ourselves, “saving the world” will become the top searching in Google soon. It is time to stand up and protect our future rather than keep destroying the world. Under this circumstance, design computation may be a good relief. By using computation and algorithmic thinking, we could create and design the buildings with better efficiency and performance than ever before. Many cases proofed that computation in architecture had improved the productivity and creativity of design, especially in material and engineering aspects. 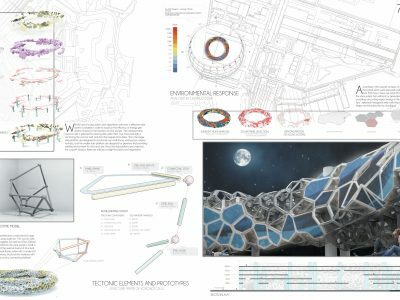 In terms of the complexity of geometries, building forms and structures, it is much more effective and efficient by using parametric computation instead of traditional drawing and thinking. Also, with the help of technological advancement, parametric algorithmic design not only performs as an effective tool for calculation and algorithm, but also acts as an efficient way to response the environments. 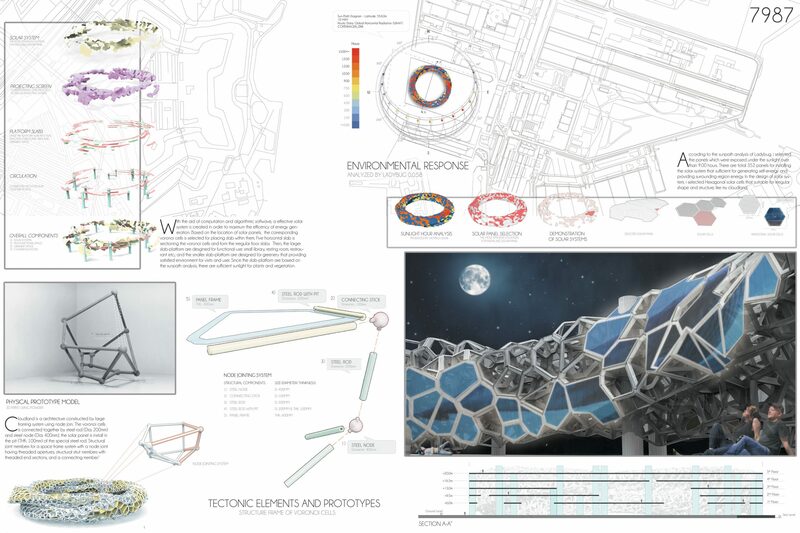 Through computation, the digital architectural design environment has both the ability to construct complex models of buildings and give performance feedback on these models that sketching by using algorithmic language. 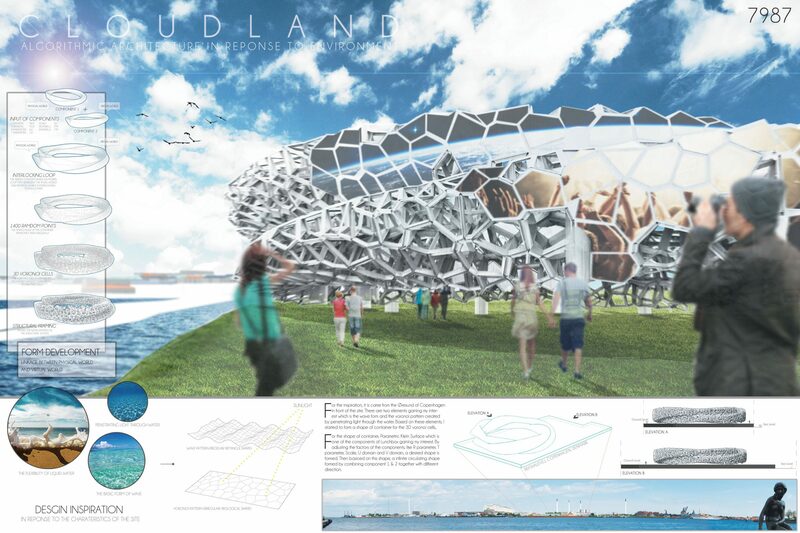 In the future, the parametric design would completely capture the fantastic design responding the diversity of natural environment. For the conceptual development, I found out the specific characteristic of this site, which is the voronoi pattern projected by the penetrating light through the water on the sea floor. Also, there are three directions of the site facing to the Øresund that leading me to consider it is one of the most interesting elements in the site. Therefore, I started to recur this kind of patterns with the aid of the computation. Voronoi system is a complex components of Biomimicry that could create complex structures and forms that hardly made by manual thinking. In contrast, it is effective to maximize my imagination and creativity by processing large amount of calculation, like trimming and patching, by using algorithmic thinking and computation. Also, there is much more flexible on the irregular shape of design, like Biomimicry, which boarded the design boundary and abandon of the inertial thinking. For the form of building, I proposed to combine two infinite “Morris loop” together so as to represent the virtual and physical world. To me, the relationship between virtual and physical world is like light and shadow. Nowadays, our daily life is relying on the virtual world deeply. Therefore, two “Morris loop” surface are interlocking to each other, and form a geometry that like an infinite symbol. The geometry is acting as the container for the voronoi cells to fill in. Moreover, the surface of voronoi cells is perform two function: installing solar panel and acting as the projecting screen. The history of Copenhagen or virtual information will show on these screen that providing a leisure space for the citizens. Solar system is used in my design that the location is enjoying long daytime without any high obstacle blocking the sunlight. To maximize the performance of solar panels, I used a software called “Ladybug” to analyses my design in order to discover the effective region for installing solar panels. According to “Ladybug”, the solar panels is installed into the effective locations which were exposed under the sunlight over than 9.00 hours per day. There are total 352 panels which are high performance installing on the building that are sufficient for generating for self-operating function and also able to provide some electricity to the surrounding region. In the design of solar system, I selected hexagonal solar cells with reflective surface that suitable for irregular shape and structure. Algorithmic architecture is well responding to the site and environment, like one of my favorite architects, Alvaro Siza, said that “architects don’t invent anything; they transform reality”, that I wish I could design more sustainable and responding architecture in the future by analyzing the environment well with the help of computation.